If you have a very long content page on your site, you may want to add a little helper icon that will perform an automatic scrolling to top link of your page. Bytutorial.com provides another nice free module for you to use. Once installed, the little icon will be placed on the bottom right-hand side of your page. This can be easily configured via CSS file. 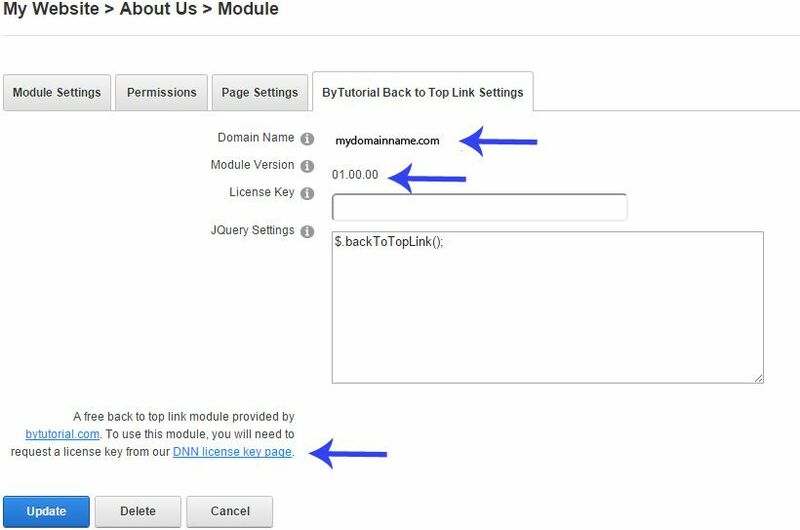 How to install the Back to Top Link DNN plugin? You are required to log in as a SuperUser account in order to be able to install this module. You can find a tutorial on how to install a module on this link. What is the Minimum DNN Requirement to install Back to Top Link DNN Module? The supported DNN version is from 07.02.01 and above. In order to use this module, you are required to obtain a license key. The module is completely free to use for personal and commercial use. To obtain your free license key, please go to license key page. Once you have obtained the license key, you can enter the license key in the module settings tab. This module can be set to appear on all pages if needed. 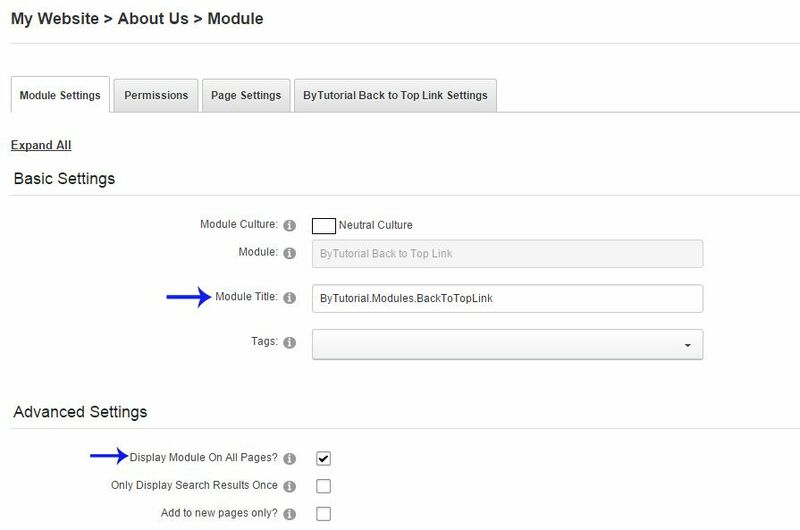 What you need to do is to tick the option to display this module on all pages and remove the module title as this is going to be an empty module anyway.